The before and after of this project speaks for itself. 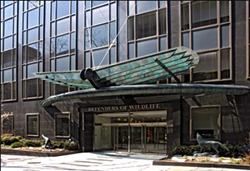 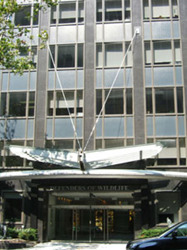 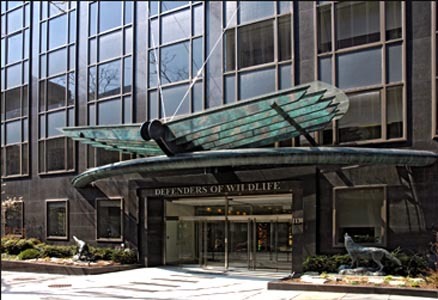 Defenders of Wildlife were not sold with the sterile industrial look of their new butterfly awning, and they called ATS Studios for an artistic solution. 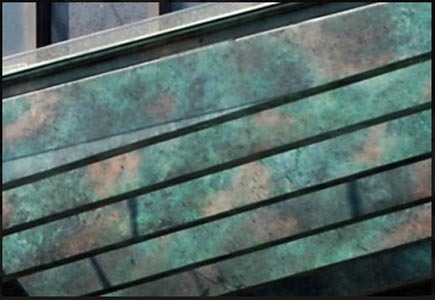 We created a custom verdigris finish which not only made the awning look more natural, but more prominent and eye-catching as well. This project won the prestigious Fauxcademy Award in 2006.